Located just 5 miles from the Lake Superior waterfront, the Days Inn is just minutes away from all the great attractions Duluth has to offer. 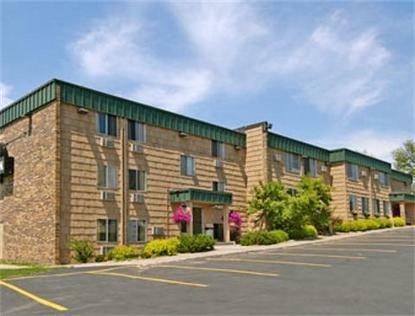 The hotel is also within walking distance to the Miller Hill shopping mall, many fine restaurants, and entertainment. The Days Inn Duluth invites you to try our relaxing whirlpool/spa area, or enjoying a great workout in our modern exercise room. Start each morning right with selections from our deluxe continental breakfast. Combine these amenities with clean, comfortable rooms and Days Inn is your choice of hotels in the Duluth area. Our 81 quiet, and recently renovated comfortable guest rooms offer you a choice of one or two queen size beds. We also feature mini-suites with one King-size bed along with a sofa sleeper and microwave/fridge unit, or try our 2 room Jacuzzi suites with a 2 person whirlpool Days Inn is your home away from home in the Duluth area. Whether on business or leisure travel, we can accommodate your needs. Pets accepted 5.00 USD per night.